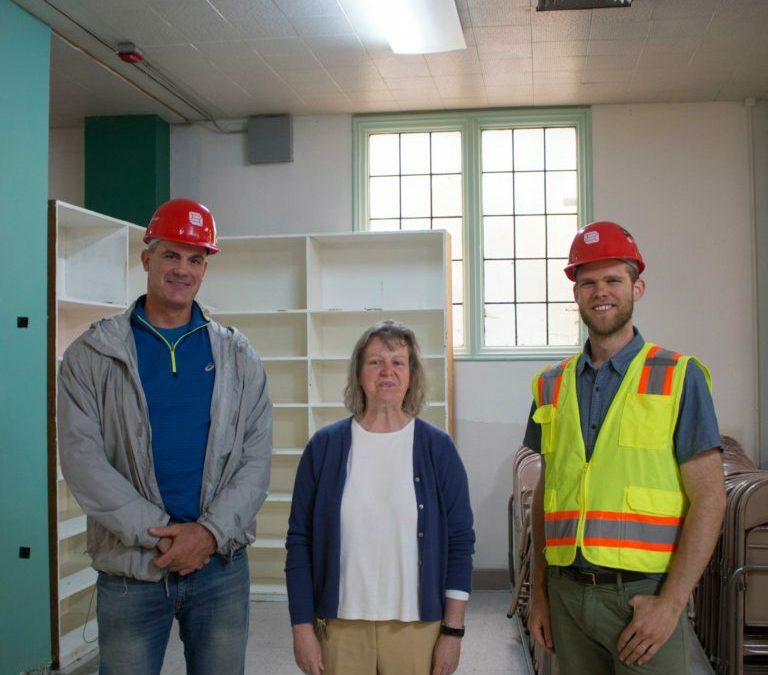 Schuchart is working together with the ROOTS Young Adult Shelter in Seattle’s University District to create a Case Management Office that will connect their emergency housing services with job services in a more dynamic way. “The Schuchart gift allows us to go beyond meeting basic needs and actually build a better bridge for our guests to leave the streets permanently,” said Kristine Scott, Executive Director of ROOTS. Located in an historic building constructed in 1927, the buildout features mechanical and electrical upgrades, data cabling and new finishes. The office will allow the housing navigator and jobs coach to meet with young people in a private yet familiar place. “For the last several months, we’ve been compiling drawings and finalizing the design. It is exciting to see it all coming together,” said Kaegan Faltys-Burr, Schuchart project lead. ROOTS is a young adult shelter in Seattle that builds community and fosters dignity through access to essential services and a safe place to sleep for young adults experiencing homelessness. Serving almost 600 young people annually, ROOTS provides shelter, meals, showers, lockers, and laundry services. The 45-bed shelter serves young adults ages 18-25. For more information and to get involved, please visit http://www.rootsinfo.org/. Schuchart is a family-owned, full-service general contractor serving commercial clients in the Puget Sound Region. Our mission is to use our diverse experience, our deep knowledge-base, and our unrelenting customer focus to create lasting projects and relationships in our community, including a commitment to support nonprofit organizations that focus on providing food, shelter, and healthcare to people in need.